Please mouse over the picture, then left click your mouse to get to the webpage. Thank you. At JORVIK Viking Centre you are standing on the site of one of the most famous and astounding discoveries of modern archaeology. Between the years 1976-81 archaeologists from York Archaeological Trust revealed the houses, workshops and backyards of the Viking-Age city of Jorvik as it stood nearly 1,000 years ago. These incredible discoveries enabled us to build the JORVIK Viking Centre on the very site where the excavations had taken place, creating a groundbreaking visitor experience that enabled you to experience life in Viking-Age York. Viking Society publications currently available are listed below. They cannot be bought via this page but can be ordered from Gazelle Book Services Limited, High Town, Lancaster, LA1 4XS; email: sales@gazellebooks.co.uk. Viking Society members are entitled to reduced prices, normally 50% of RRP. Members’/Non Members’ prices are listed below. When ordering from Gazelle, state membership to claim the reduced price. Publications can also be bought at meetings or by those collecting personally from University College London appointment required; contact vsnr@ulc.ac.uk. All in card covers unless noted as bound. 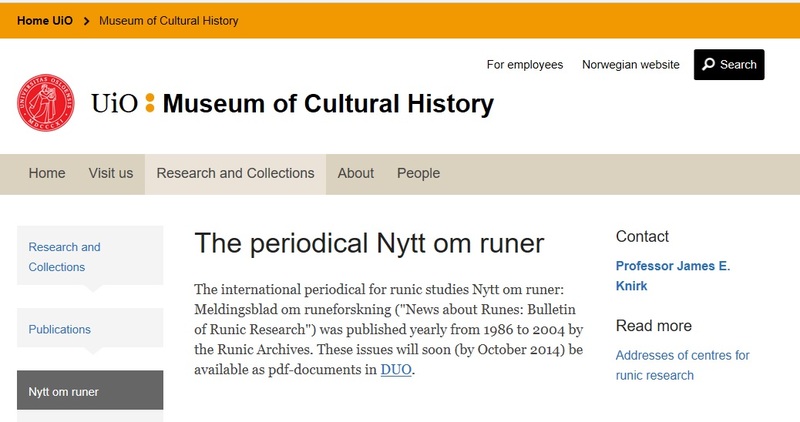 The periodical Nytt om runer is the international periodical for runic studies Nytt om runer: Meldingsblad om runeforskning ("News about Runes: Bulletin of Runic Research") was published yearly from 1986 to 2004 by the Runic Archives. These issues will soon (by October 2014) be available as pdf-documents in DUO. 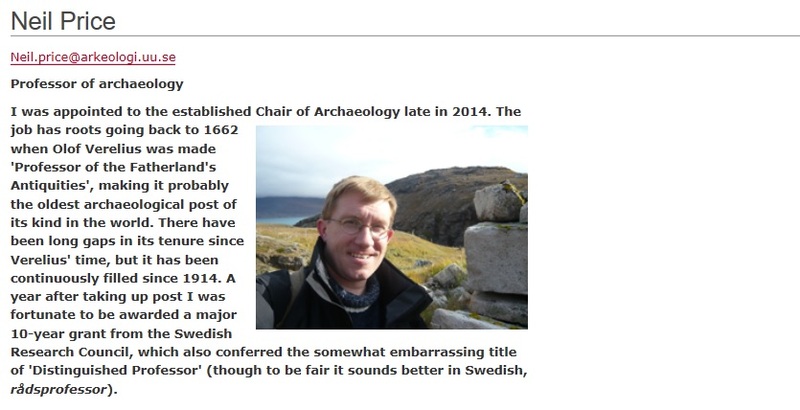 My research interests fall into two broad categories, embracing the early medieval North c. 400-1100 CE, especially the Viking Age, and the historical archaeology of the Asia-Pacific region from the 1700s to the present.I developed a fascination for the culture of the Vikings and their world during my early teens. My undergraduate studies in London offered the first opportunity to engage seriously with Scandinavia and the Viking world, and set the pattern of my working life ever since. My specific interests include Scandinavian and Germanic pre-Christian religion, ritual, sorcery and magic; Viking Age mentality and world-view, what could called be the ‘Northern mind’; Viking Age mortuary behaviour and funerary drama; Sámi archaeology and religion; the Vikings and Islam; early medieval ideology, identity and power; early medieval sexuality; Scandinavian-native interaction; and the socio-cultural impact of natural disasters and climate change. Over the last twenty-five years or so I have lectured and travelled widely in the Viking and circumpolar world, and directed research projects in France, Iceland, Russia and Sápmi, besides several here in Sweden. Northvegr.net Copyright © 2017. All Rights Reserved.